Located on the west side of Truckee, Tahoe Donner was originally developed by Jack Kirby as a family resort that would have every recreational facility a family could want, all in one place. 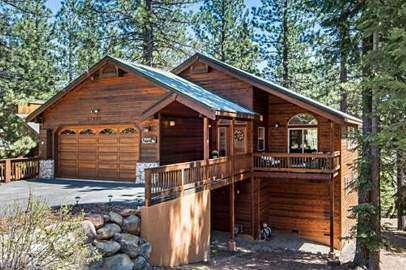 Today, Tahoe Donner is a recreational homeowner community of approximately 6,500 property owners and over 30,000 members located only 5 miles from Donner Lake and 15 miles from Lake Tahoe. Amenities consist of an 18-hole PGA rated golf course and driving range, a world class cross country ski center, a downhill ski center, (great for beginners and intermediates), a private beach and boat launch at Donner Lake, tennis courts, swimming pools, saunas, work-out room, an equestrian center, a private campground, a clubhouse, restaurant, and convenience store. Jack Kirby’s original vision of Tahoe Donner included open space for homeowners to enjoy the natural beauty of the Sierra mountain environment. Tahoe Donner is comprised of approximately 6,000 acres, with over 2,000 acres of open space maintained by the Tahoe Donner Association and 1,300 acres of common area interspersed among the community homes. Properties are primarily single-family homes, although a number of condo communities do exist. The population is composed of approximately 75% second homeowners and 25% full-time residents. Roughly 55% of the second homes are owned from people from the bay area while 13% are from the Sacramento vicinity.